"We cannot have someone who was on television announcing Mnangagwa's sacking as Vice President (in 2017) still sitting there as spokesperson of the party," said Mutongi in apparent reference to ex-Information Minister Simon Khaya Moyo (pictured). PRESIDENT Emmerson Mnangagwa's Zanu PF party is heading for stormy waters, after it emerged a group of war veterans led by one Philemon Mutongi are demanding a "clean-up" of the party headquarters in Harare to get rid of "statues". Mutongi, in an exclusive interview with NewZimbabwe.com, did not hold back arguing the old guard seconded as permanent officials at the party's headquarters had nothing new to offer to the country and government. The former fighter however claimed to be speaking for himself. "I do not claim to speak on behalf of all war veterans but for myself. We see things differently. I fought in the war of liberation and if we have introduced a new administration, then all must be new. "We cannot have someone who was on television announcing Mnangagwa's sacking as Vice President (in 2017) still sitting there as spokesperson of the party," said Mutongi in apparent reference to ex-Information Minister Simon Khaya Moyo. The Zanu PF spokesperson announced Mnangagwa's sacking on November 6, 2017, before being given the task of breaking news of the then sacked Vice President's return after the coup that toppled President Robert Mugabe. 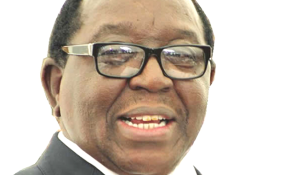 Khaya Moyo; secretary for administration Obert Mpofu, secretary for finance Patrick Chinamasa, all former Cabinet Ministers were dropped by Mnangagwa after last year's elections and seconded to run the party on a permanent basis in a new structure that the President said was meant to strengthen the former liberation movement. But Mutongi described these Zanu PF senior officials as "statues". "These people have nothing to offer. They are statues. Mpofu, Khaya Moyo, (former Defence Minister Sidney) Sekeramayi, (former Health Minister David) Parirenyatwa, the likes of (former Industry Minister Mike) Bimha, (Zanu PF politburo director Dickson) Dzora and (Chitepo School of Ideology's Munyaradzi) Machaha are statues with nothing to offer to the party and government," said Mutongi. NewZimbabwe.com heard that Mutongi and other senior leaders in the former fighters' movement have threatened to camp at Zanu PF headquarters until their demands were met. "A plan has been hatched and the war veterans want to stage a sit-in to force President Mnangagwa to remove these leaders. The plan is greater than that. It is part of a greater scheme that is meant to create space for people angling to succeed Mnangagwa in the long-term," NewZimbabwe.com heard. Khaya Moyo professed ignorance over the plot. "I have not heard anything like that. How do they judge that we have failed or are not contributing anything anymore? "It has not been brought to my attention," Khaya Moyo said when contacted for comment. Zimbabwe National Liberation War Veterans Association (ZNLWVA) spokesperson Douglas Mahiya also dismissed the issue. "Its not something that we have talked about as war veterans. I have not heard about it and will dismissed it as just talk," said Mahiya.